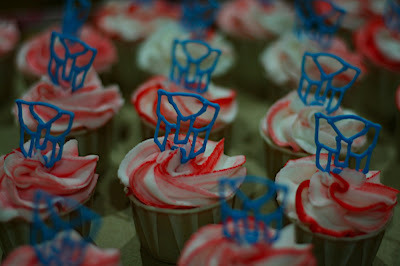 These are cupcakes commissioned for a recent birthday party. 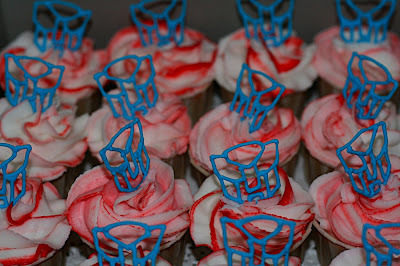 The birthday boy loves transformers, so naturally, that's what topped the cakes. The toppers were made with piped royal icing left to dry. 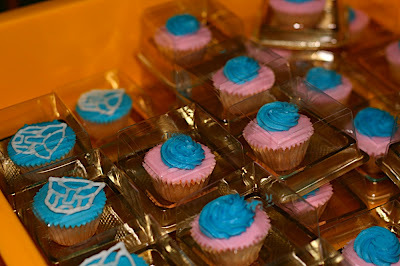 These mini cupcakes were also for the same party but were favors for the kids. 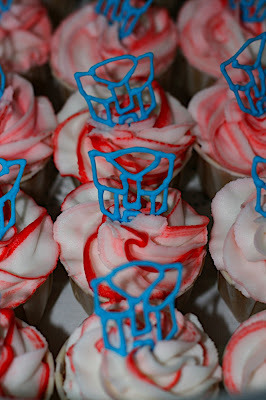 The swirls were for the little girls and the transformers for the little boys.